Have you ever hired a personal trainer and felt like you were training to achieve their goals rather than your own? Maybe your training sessions were pushing you to the point of puking each session, or maybe you have been struggling to see results. 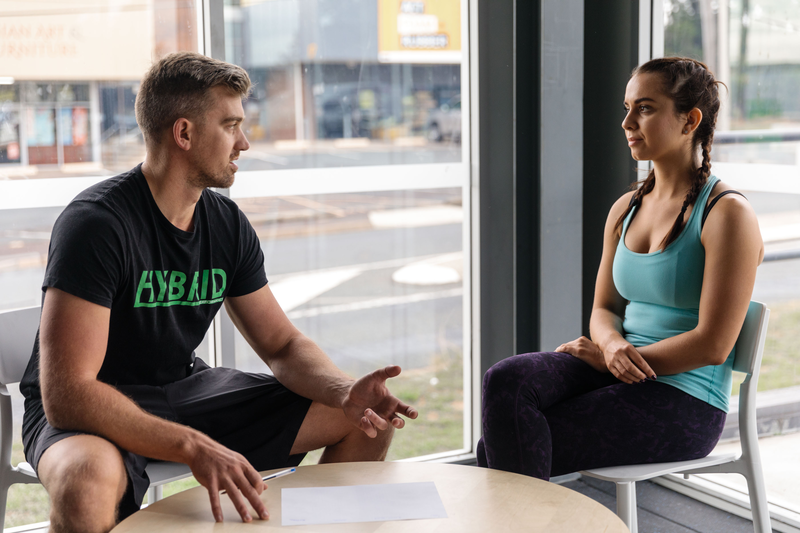 At Hybrid Performance, personal training is specifically structured to take you from where you are today, to achieving your goals and further planning the next ones. Our training sessions are not about throwing all of our fitness knowledge at the wall and seeing what sticks. We look at all aspects of your current lifestyle; from stress levels and nutrition, all the way through to your training and movement. We don’t follow trends, we simply do what works best for you. Your training program, nutrition recommendations, stress management and recovery protocols are all pieces of a bigger picture. One that blends what you want to do to achieve your goals, and combines what we believe you need to get there. We have had clients come to us who have tried everything but just can’t get results. Many training methods focus solely on banishing body fat, however our focus is to create an environment where fat is eliminated because your body is running optimally. Your health is our priority first and foremost, above your training regime. We look at more than just your training and nutrition, but also your sleep and digestion. We leave no stone unturned, to make sure you make progress and achieve results. simply contacting one of our coaches to best plan your training.